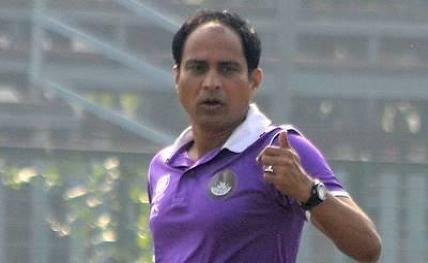 Kolkata, Jan 4: In his first-ever media interaction as head coach of a football club, Shankarlal Chakraborty on Thursday urged his deflated Mohun Bagan players to bring back their self-confidence and make a strong comeback in the remaining I-League matches. Shankarlal — elevated to chief coach's role from being assistant to previous incumbent Sanjoy Sen who parted ways with the city football giants on Tuesday — will try and get his green and maroon brigade back to winning ways after a spate of poor results. "Their self-confidence needs to comeback. Keeping in mind Mohun Bagan's support base, when the team suffers back-to-back setbacks, more than technical you need to bring back the self-confidence among the players," Shankarlal told reporters at the club Maidan tent here. Asked if he would be under pressure from the word go with the Mariners losing to lowly Chennai City FC 1-2 in their previous encounter and remaining winless in the last four games, he said, "You will always be under pressure at Mohun Bagan. Under pressure, at times you excel." Mohun Bagan's I-League winning coach Sen stepped down after the harrowing home defeat where the traditional heavyweights failed to triumph even after playing with an extra player for close to an hour. Chennai's Pradeep Mohanraj was red-carded in the 35th minute for a handball inside the penalty box. "After the Churchill game (which Mohun Bagan won 5-0), we suffered four major injuries. Then we had a spate of draws. In the second draw, we were leading by a goal but drew. Then players started feeling the pressure. They could not get out of a hole. Sanjoy da had said that despite telling them, the players did not listen. This also shows they were not confident," Shankarlal explained. Haitian star Sony Norde, he said, is getting back to full fitness with the doctor giving a "good report" while Arijit Bagui is back. With arch-rivals East Bengal top of the ten-team table, Shankarlal was asked if he still believes Mohun Bagan can go on to win the league. Currently, Mohun Bagan are fourth in the table and seven points adrift of the red and golds who sit pretty at the top of the tree having 17 points, playing a game more than their eternal foes. "We have to give 200 per cent now to bounce back. Our target is to become champions eventually. But we want to take one match at a time," Shankarlal said. At the moment, the club does not plan to rope in a new assistant coach. Shankarlal also informed that the management did mull bringing a psychologist on board to help the players overcome mental hurdle but nothing on that has been finalised.